It's hard to get into writing new posts while I'm camera-less. I ordered a new one yesterday, so I'm hoping it will be here sometime early next week. I spent some time reading reviews, wanting just a nice, light, point and shoot camera, and finally ended up with what is basically a slightly newer version of the camera that I had been using. The last one lasted about five years. This one I plan to not knock around so much and hopefully keep for longer. 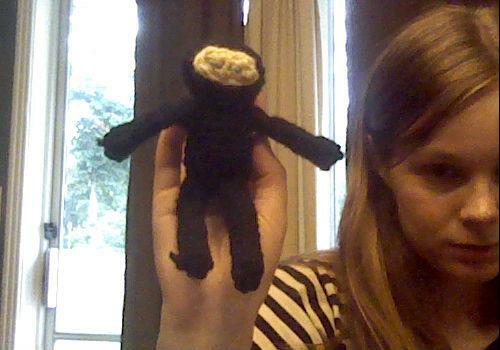 My daughter, who doesn't really care about Ninjas, asked me for a police man so I'm making that now. In the meantime, I'd love any suggestions for patterns you'd like to see. When my camera gets here I'll be eager to create and post anything you'd like.